A country of rich heritage and unique national traditions, Oman has managed to keep numerous historic landmarks, so there's no wonder why the country is often called one of the most beautiful places in the world. Several interesting landmarks can be seen in Muscat, the capital of the country. This city is home to the main shrine of the country - the Sultan Qaboos Grand Mosque. This is a relatively new building, the grand opening of which took place in 2001. The mosque is made in the traditional Arabian Style and it can simultaneously provide space to more than 20 thousand visitors. The magnificent cupola and skillfully made main minaret are the main decorations of the shrine. One more interesting decoration is located in the main hall of the mosque. This is a giant Persian handmade carpet, the weight of which is 21 ton. Without a doubt, this is one of the biggest carpets in the world. Simply no Arabian town can exist without a colorful bazaar. Of course, there is a big bazaar in Muscat as well - it's called Muttrah Souk. The market is conventionally divided into several areas, each of which sells a particular type of a good: incenses, jewelry, silverware, furniture and carpets, clothes, spices, souvenirs and toys. The Al Alam Palace is also worth attention of travelers. The royal palace was built in 1927; currently, the palace is a so-called work office of the sultan - the serving head of the country. Despite the fact that it's prohibited to enter the palace, there are always many people on the square in front of it. Numerous locals and travellers come here to see and take photos of the beautiful building. Already in the prehistoric period, Oman had quite a beneficial strategic location. The representatives of nomadic tribes were the first to settle in this territory. In the 1st century BC, they fell before the Yemeni tribes. By the 6th century AD, the local tribes had been under powerful Persian Empires. In the 7th century, the lands of Oman became a part of the Arab caliphate. That period was marked by the development of feudalism. The caliphate rule was maintained by the 11th century. In the Middle Ages, the country saw the colonial times. The whole territory of Oman was conquered by the Portuguese. 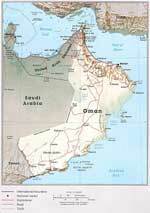 They were expelled only in 1650 but Oman could not maintain independence for a long time. Already at the beginning of the 18th century, it was conquered by the Persians. In 1741, it became a part of the large pirate state headed by Ahmed Safari. Only at the beginning of the 19th century, the country was stable again. It was governed by the Sultan. At the early stage, the country had been a British protectorate for several decades but this had no influence on its internal self-government. In the first half of the 20th century, Oman was one of the most isolated countries of the world. It was first opened for tourists not so long ago, in 1987. This helped maintain some unique Arab traditions. Other Middle East countries borrowed typical features of European countries but this cannot be said about Oman. As it was many years ago, today, local people still wear national suits. Here, the ancestor worship is cherished and the elderly persons are respected. The special part of the national culture of Oman is beautiful religious holidays. One of the main values of the country is its unique nature. 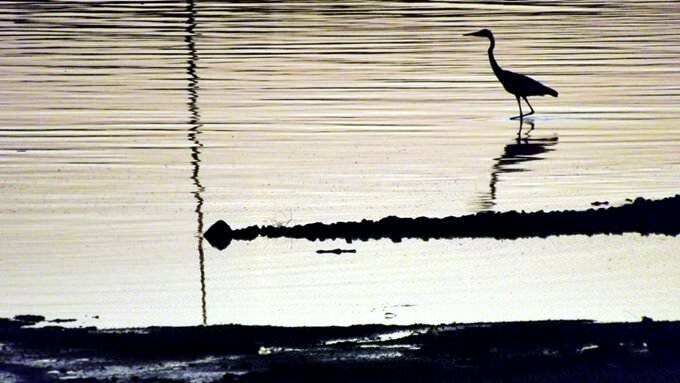 The protection of the environment is one of the main government’s objectives. 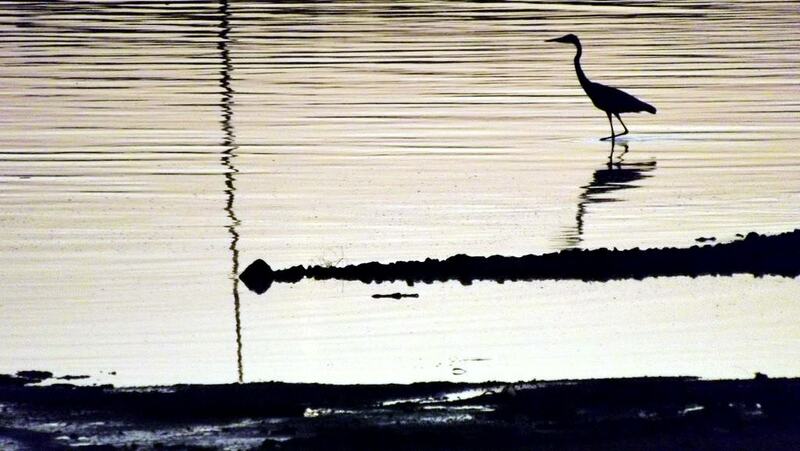 Oman pays a special attention to environmental programs and projects. Tourists have gained an opportunity to take part in many projects relatively recently. 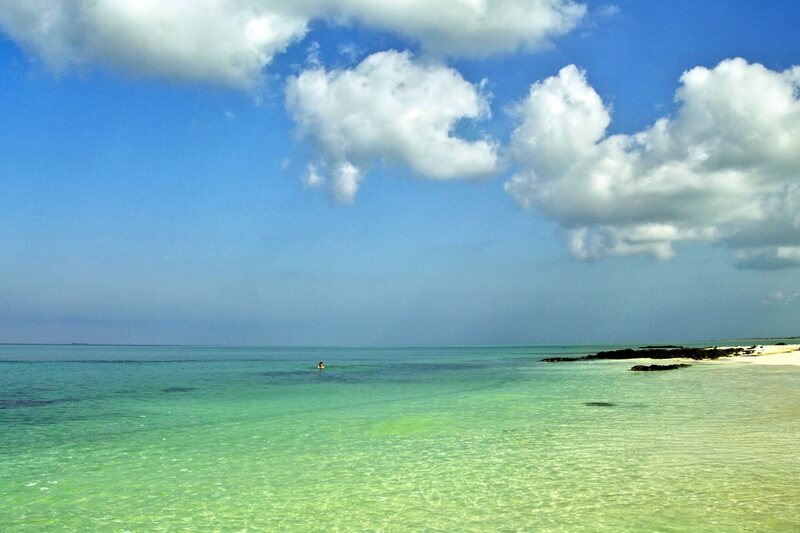 In the context of special environmental programs, you can visit the most beautiful national reserves. Oman is famous not only for nature attractions, but also for marine ones. Its coastal area is one of the most interesting sites for diving. 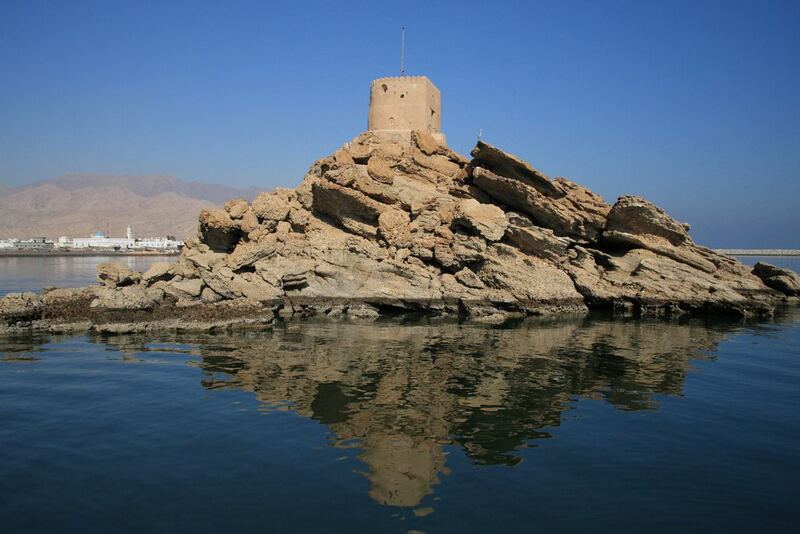 This article about iconic landmarks and sights of Oman is protected by the copyright law. You can re-use the content, but only under the condition of placement of an active link to www.orangesmile.com. 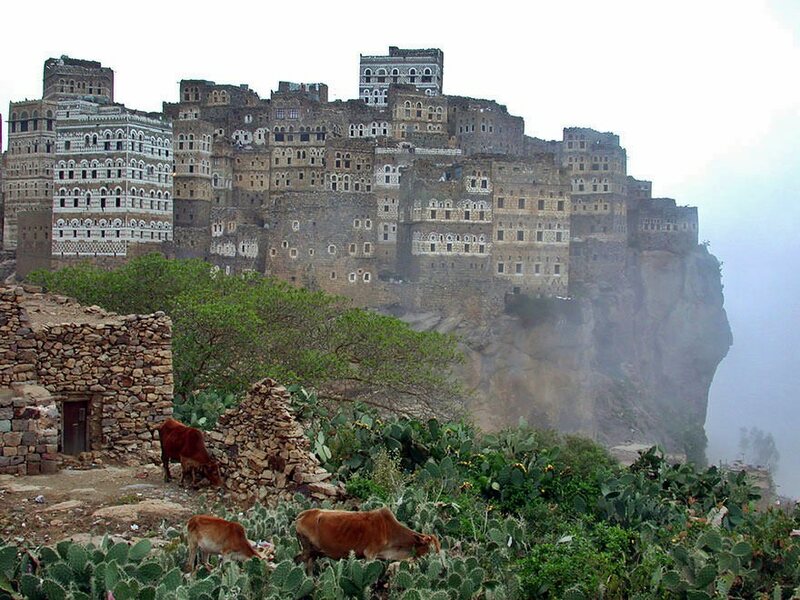 In Yemen, you can visit an isolated Al-Hajjarah Village. Earlier this village was a prosperous town where people mostly worked in a trade industry. The main peculiarity of it is the saved old stone houses that were built on the rocks at the edge of the gulf. Stones for the building were taken from the nearby stone pits. The houses stay close to each other and remind a united inaccessible bastion. It is interesting to note that there wasn’t used any additional mortars. These houses look like united complexes made of huge stones that stay hurtless within hundreds of years. They were built in the 12th century when Yemen was occupied by Turkish conquerors. At that time the town had an advantage ground.